Paraiso Town Center in the Thousand Oaks master planned community of Dos Vientos Ranch will be renamed The Village at Dos Vientos Ranch, announced Peter Cohen, president of Paradise Capital Group, which acquired the 50,000 square-foot mixed-used retail and office complex in June 2010. A new name was very important in our efforts to rebrand and market the property, said Cohen. We wanted to give the center a fresh start with a new name that was easy to pronounce and remember. While Paraiso (Spanish for "Paradise") was a beautiful and obviously very distinctive name, four out of five people would pronounce it incorrectly, and that is not good from a marketing perspective. Immediately after acquiring the center, Paradise Capital Group conducted an informal poll and learned that the community was largely in favor of a name change. There has been a lot of negative stigma associated with the center for some time and getting a new owner and new name for this beautiful center is great for Dos Vientos Ranch and all of Thousand Oaks, said Dan Bonfiglio, a local resident and president of the Dos Vientos Ranch Community Association. It's exciting to see the positive changes taking place and it's obviously working as we are seeing leasing activity for the first time in years. Since acquiring the center, approximately 7,500 square feet of retail and office leases have been signed nearly doubling the existing occupancy. There has been a lot of interest in the center since the ownership change, said CB Richard Ellis Vice President Lawrence Tanji, who leads the retail marketing on behalf of Paradise Capital Group. The new name is yet another example of the positive changes taking place there and local retailers and business are taking notice. 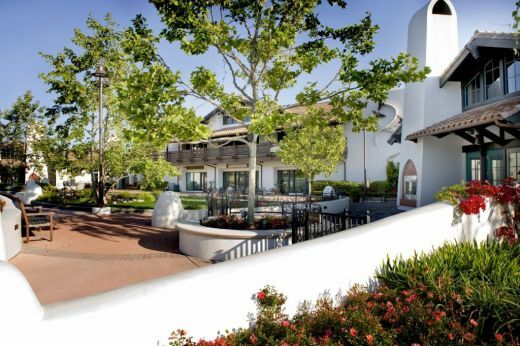 Built in 2008, The Village at Dos Vientos Ranch includes 40,000 square feet of ground level retail and restaurant space with outdoor dining, and 10,000 square feet of office space. The Mediterranean style complex also features a children's playground and landscaped common areas with fountains. The centerpiece is an outdoor amphitheater with a performance stage and movie screen. Retail tenants include La Cucina di Venti, Boney Mountain Coffee, Red Coral Sushi Restaurant, Fitness Together, The Art Box and Paraiso Cleaners. Office tenants include ETF Portfolio Management, Paraiso Family Dental and Orthodontics, Team Resources, McQueen & Associates and Worldwide Supply.